It’s not too often I get amped up on a Christmas record. I find a lot of it mundane and most of the time I’m going back to the old stuff that I grew up on. 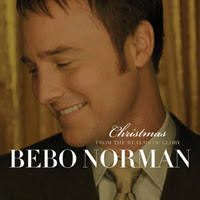 But if I can just say, Bebo Norman’s new record “Christmas From The Realms Of Glory” is likely the best Christmas album of 2007 and has quickly become one of my favorites. There are several reasons why: Musically it’s very solid, and Bebo has a great voice, and the arrangements of the songs are surprisingly unique. But I think the most catching thing about this album is the raw simplicity with which it is delivered. It’s very acoustic driven – guitars, piano and Hammond organ, some layered banjo, and dulcimer. Somehow this album seems to capture the true spirit of Christmas for me. A lot of times Christmas music is so overdone – sweeping orchestral arrangements, cliche sleigh bells, dripping with consumerist gloss. But I feel like Bebo brings the focus back – the celebration, the joy, the seriousness, the weightyness that Christmas is, comes together on this album. I never really cared for this song all that much before – I always thought it sounded forced – but this is my favorite track on the album. Bebo plays this as though he were walking down the middle of a country road on Christmas morning with snow all around him, just belting this song out to all of his neighbors. He actually sounds happy playing this – you can’t help but smile. Overall it’s a solid album, honestly and intentionally done, and you should check it out. 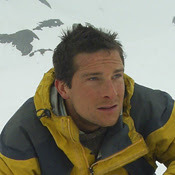 If you want to take a listen, click here.